Arbor Assays provides high quality, activity, detection and immunoassay products for important biomolecules and enzymes. They offer stable, sensitive fluorescent detection and activity kits and they have the most sensitive and innovative ELISA kits in their product portfolio. As experts in assay development, they specialize in contract projects to commercialize new biomarker assays. 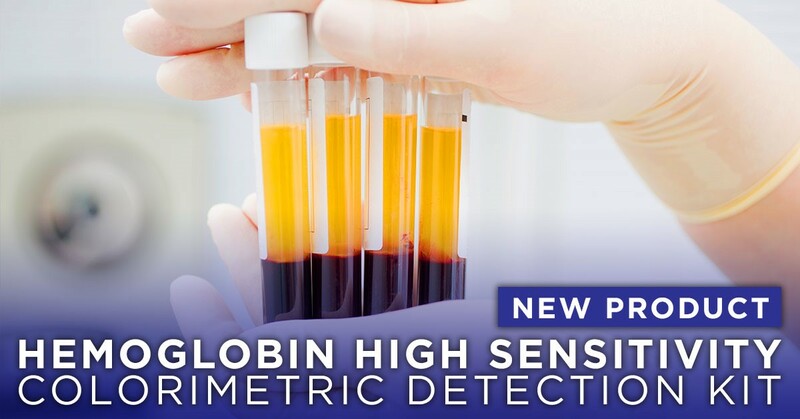 The DetectX® Hemoglobin High Sensitivity Colorimetric Detection kit uses a single reaction solution that is stable at 4°C, is not light sensitive, and does not contain dangerous chemicals. All forms of hemoglobin react with Hemoglobin Detection Reagent and the generated color is measured photometrically at 450 nm. A human hemoglobin standard is provided to generate a standard curve for the assay.